Exploring the impact of microwaves and electromagnetic energy and their role in producing brain tumours as a form of body mutation and transformation, as in technologies such as mobile/cell phones. 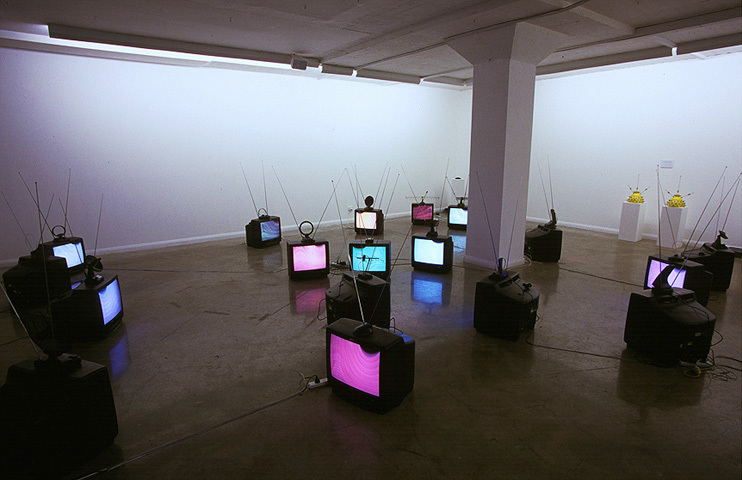 The work also explores the notion of the television as a form of 'haunted media'. Consisting of two specially designed helmets with infrared headphones and a large video and sound installation and an assortment of antennas.